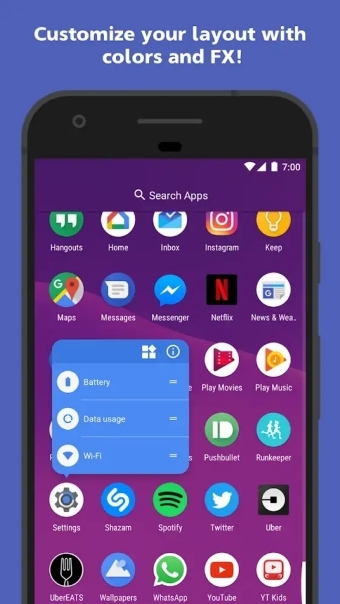 If you searching for a launcher app, you are probably bored with your smartphone’s current user interface, if yes, don’t you are not the only one. If you are an Android user, you might come across a number of launcher apps in the Play Store. It becomes really hard to try them all, and also, most of them are good for nothing, shows ads, and offer almost no customization features. We have searched some of these popular apps and finally came across with the launcher app called Action Launcher, which is available for free on Android. We have explained the reasons for selecting the app, and here’s our Action Launcher App Review. Action Launcher is free to use app which is available on Android platform. The app is quite popular with more than 5 million downloads. 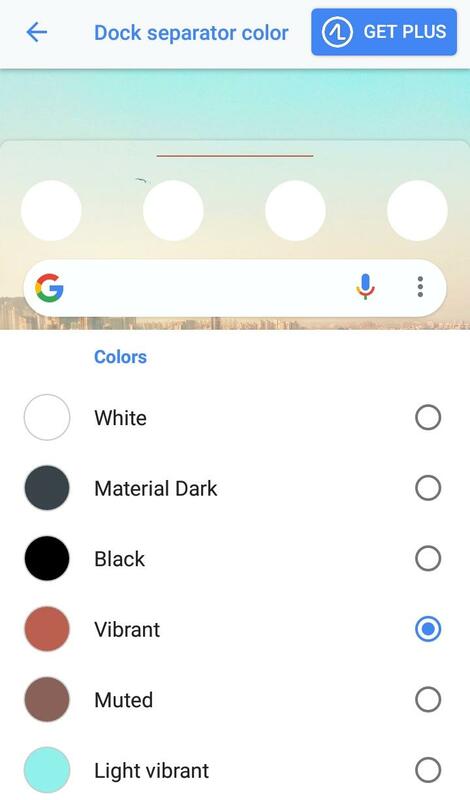 The app is basically a pixel launcher, which brings tons of customization options to the user. The app comes with a lot of features but with a small size, and can be used in a device with lower specifications too, which makes the app best for all. The app offers a lot of things which we will cover in the further section. The Action Launcher App comes with a long list of features and customization options, which is really amazing. Some features are really amazing and useful, whereas, some of them are just add-ons. 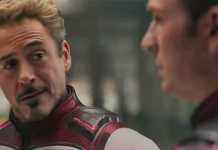 Here, below, we mentioned the feature that we liked and our views on that feature. First of all, we will be talking about the most important feature, that is, the user interface of the app, probably the only reason why you want to install an all-new launcher app on your device. We must say, the user interface and design of the Action Launcher app is one of the most attractive design. The default app user interface is the same as in the stock Android Pie and Android Oreo devices. The app design, dock design is the same as in the Pixel launcher, and overall it looks just awesome. 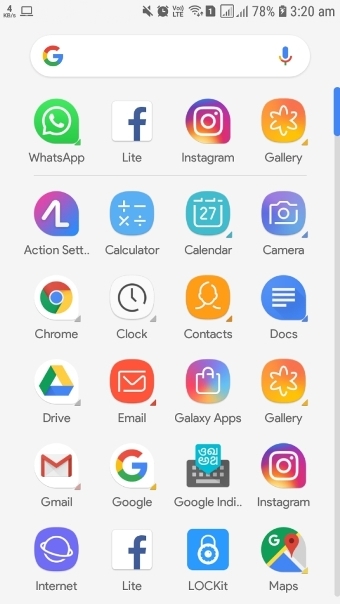 App drawer in Action launcher is same as in Pixel launcher and works clean. By default, the app regroups in the tray according to the App Name, and at the top, you can see the most used apps, which is really handy. Also, you get the option to sort the app according to the Instal Time, and Most Used tags also. Apps can be bound in the folders easily, and grids can be customized too. Other special feature in Action launcher includes the Hide Apps feature, where you can select the app from appearing in the app tray. The Action Launcher comes with a long list of features, and mainly of them are related to the design of the UI and customization of it, but even having loads of stuff, the Action launcher works well. The app is well optimized even for the low-end devices, and this makes it really great. And you will agree with this point of ours when you use it once. 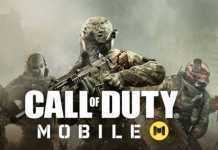 The app optimization is up to the point, and we haven’t faced any type of lag in operating of other apps, no differences were seen in the behavior of other apps as well. We won’t say that the Action launcher makes your device faster, but installing it won’t be a burden over the device. On testing, we found that Action launcher app consumes 87 MB of RAM in 3 hours on average, which is literally nothing. 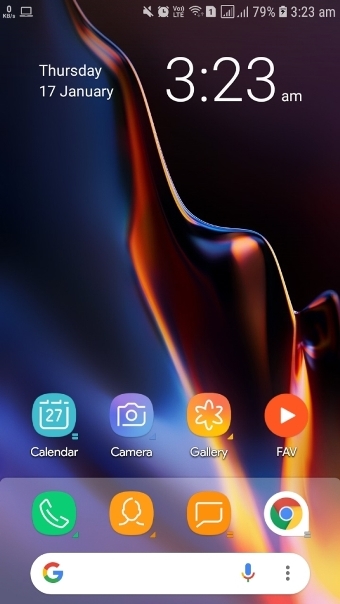 The best launcher app is that, which allows the user to customize the launcher accordingly as much as possible, and especially in this section, Action launcher tops the charts. 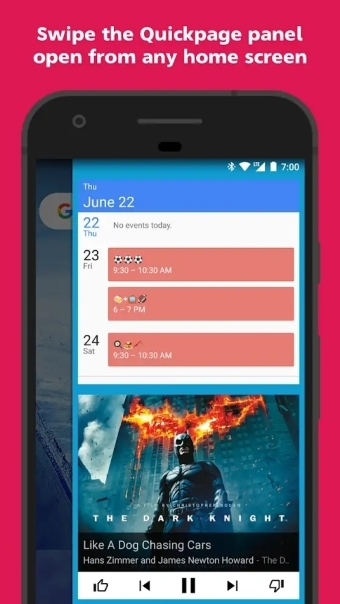 Action launcher features an Action Setting app, which allows customization of almost everything you can see. You can easily change app icon size, icon background easily, also the app supports third-party icon packs like other launcher apps. 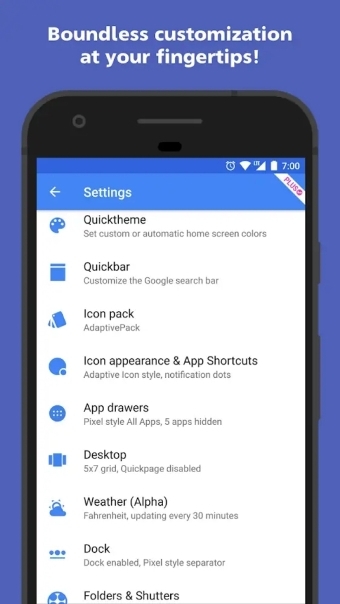 Not only this, the Action launcher supports customization of little details as well, like the app icon shape, badges type, font and many more, and this really makes it cool. 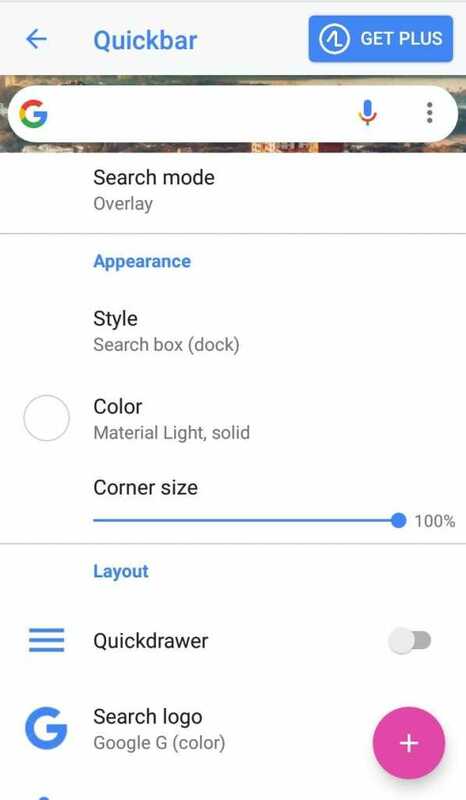 This is not the end, there is a long list of the details that can be customized in the Action launcher, and believe it or not, no other launcher app allows this much customization accessibility to the user. 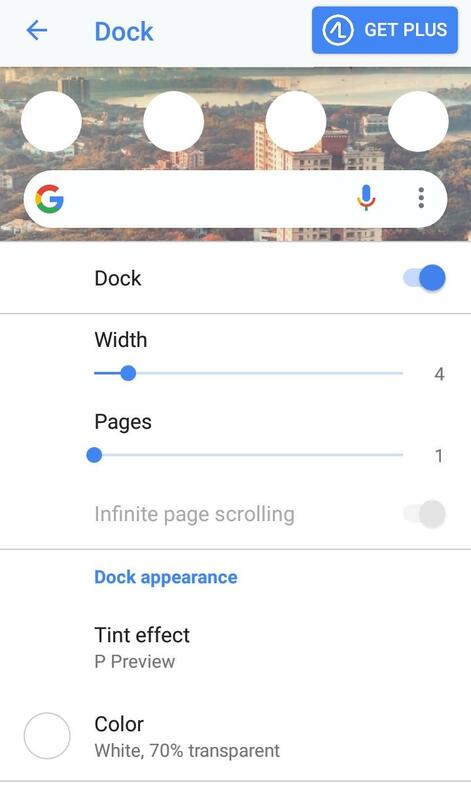 For instance, the launcher comes with Dock and Quick Search Bar, as in the Pixel launcher, and small details can be changed easily. The transparency, color, can be changed, even the corner size can be changed, color for Google logo can be changes and a lot more. Similarly, the color, tint effect of the dock can be changed. And the customization of Dock Separator, this is really crazy! If you are one of them, who loves to customize every single detail in the appearance of the UI, you will surely like Action Launcher. 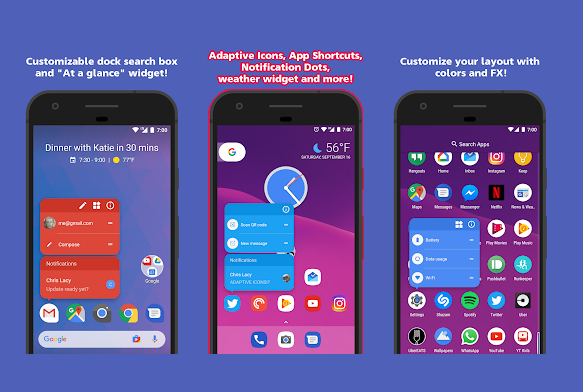 Overall, the Action launcher app is best of all, but the only thing which we can include in the Cons section, is that all the features are not free, there is paid version of the app too, which unlocks more optimization more features. Mainly, the Action Plus version unlocks the Gestures in the launcher. Other than this, there no major issue in the app. The Action Launcher app is really great, the number of customization options available for free makes the app better than most of the free app available on the Play store. If you really love creating the interface of your choice, Action Launcher is for you.